If you would like to pay with a credit card, please submit the form below. If you would like to pay by check, click here. ________ give permission to the Geriatric Interest Network to release my name and mailing address to other organizations upon their request. 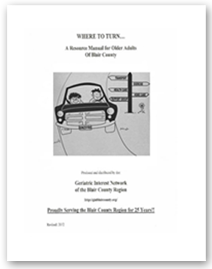 Geriatric Interest Network does not sell or knowingly transmit information to other sources. Any email inquiries or information collected from this website will be used solely for communication purposes, and will not be added to any opt-in mailing lists or sold to any third party.